During the recent years the world has changed vastly. We the people of different walks of life cannot be able to imagine that what is going to be the future picture if this change continues rapidly like this speed. Today there are very much competition in both public and private sectors. To operate the activities of the government there are some policy makers of government and some employees and to continue the managerial activity government itself has to direct control and motivate its employees that is why government has a specific administrative structure. We have learnt much about the Public Administration and International Relations but we do not know how they are applied in the real lives. To find this out i.e. how they are applied in the real lives we were given this project. In question of information we have made our efforts to point out what are the services in public sector and structure of our government offices. We tried our best to fetch all the possible information and include them in a relevant manner. Basically we tried to contract with the secretariat but it was not possible to collect data and information from their. To solve this problem we have chosen the secondary information. We tried to go through the related books and websites. But unfortunately the concerned website of Peoples Republic of Bangladesh are no too much furnished with information that is why we have taken help from different journal, weekly, monthly newspaper and publications. Bangladesh emerged as an independent and sovereign country on 16 December 1971 following a nine-month war of liberation. Dhaka (previously spelt Dacca) is its capital. Parliamentary form of government, president is head of the State and prime minister is head of government. Division 6 (Dhaka, Chittagong, Khulna, Rajshahi, Barisal, sylhet); District 64; Upazila and Thana 507, Union 4,484, Mouza 59,990, Village 87,319; City corporation 4 (Dhaka, Chittagong, Khulna, Rajshahi); Municipality 223. Muslims 88%, Hindus 11%, the rest being Buddhists, Christian and animist. National Language: Bangla (99.5% speak Bangla and 0.5% other dialects). English is the second most important language. (Labor Force Survey 1990-91, in million) technical and professional 1.46; administrative and managerial 0.19; clerical works 1.10; sales works 4.02; service works 1.68; agriculture, forestry and fisheries 34.35; production and transport 6.98; not adequately defined 0.38. Administration in Bengal never remained the same always. Every new conquest was followed by new mode of administration. In the Hindu-Buddhist period (ancient period) the administrative system evolved, which under the Muslim rulers (medieval period) underwent changes in name and structure; some basic traits remaining the same. Under the colonial rulers it assumed a new character with alien ideas and institution incorporated in it. Proper reconstruction of the administrative structure of ancient Bengal is certainly a difficult, although not impossible, task. In fact, lack of positive data is the most important hurdle in the way of reconstructing a systematic and consistent history of the administration of Bengal from the earliest times to the advent of the Muslims. Pre-Gupta Period We has no definite information regarding the administrative system of Bengal during the pre-Mauryan period. From the evidence of a few stories and legends preserved in later literature and from the classical accounts, we know that monarchy was the prevailing form of government. Gupta and Post-Gupta Period In the prevalent form of government, early in the 4th century AD, the king held the supreme position. He assumed the title of Maharaja. Singhavarman and his son Chandravarman of Puskarana (Pokharna in Bankura district) enjoyed the title of Maharaja. Pala PeriodBengal experienced for the first time a stable government under the long rule of the Palas. Unfortunately we do not possess a detailed account of the Pala administration from the available materials. We can only reconstruct glimpses of different aspects of it. It was during the rule of the Pala kings that the central administrative machinery was established in Bengal upon the structure of the Gupta provincial administration. Chandra, Varman and Sena Period the inscriptions of the Chandras, the Varmans and the Senas show a great similarity with those of the Palas in respect of the portions referring to the administrative machinery. In some places these records, however, unfold few new developments. The history of administration in ancient Bengal, as gleaned mainly from the inscriptions, is certainly sketchy. But there cannot be any doubt that there prevailed well-organized administrative machinery. Besides the long list of officials, as contained in the land grants, other important information regarding the administration bear clear testimony to the fact that the administrative system of ancient Bengal was uniform throughout the region in its main outline and was subject to changes and modifications when the situation demanded. It can fairly be concluded that ancient Bengal was not lagging behind in respect of administrative efficiency in comparison with other parts of India. Medieval Period Administration in Bengal in the medieval period was the outcome of the development of administrative institutions of the earlier period. The uniqueness of medieval administration lies in the fact that despite frequent changes in dynasties, it bore the main characteristics of several centuries old institutions which the Turko-Afghans carried with them to India. In the absence of contemporary historical literature on the details of administration, it is difficult to build up a comprehensive account of the early medieval administrative institutions of Bengal. The imperial chronicles do not provide much information about the administrative set-up of a distant region like Bengal, although the gap has to some extent been filled in by travelers’ accounts and other sources. Under the Independent Sultans As the supreme head of the state the sultans assumed lofty titles such as Sultan-ul-Azam, Sultan-ul-Muazzam and even Sikandar-us-Sani (Alexander II). Under the Mughals with Mughal conquest, the kingdom of Bengal turned into a province (henceforth called subah) of the Mughal Empire. However, the Afghan quest for supremacy in the region and the defiant nature of the local chiefs (bara-bhuiyans) delayed the full subjugation of the eastern and southern parts of Bengal until 1613. Colonial Period A fundamental difference between the pre-colonial and colonial administration is that the pre-colonial administrative structure was essentially traditional and fixed; whereas the colonial administration was a flexible and ever evolving affair. Unlike the pre-colonial dynastic regime, the legitimacy of which was often claimed to have been of divine origin, the legitimacy claim of the colonial rule was made on treaties and charters and most importantly establishment of unchallenged dominance. While the sources of law of the pre-colonial regime were religious commandments mainly, the colonial laws and legal institutions were based on secular needs and exigencies. The colonial administration obtained its characteristics from the dictates of the state formation processes. One reason for the variant character of the colonial administration was that the goals of the colonial power changed over time. Pursuing the eastern trade and commerce without depending on the British government for precious metals was the original goal of the East India Company’s domain in Bengal. Thus we find that the entire administrative machinery was then geared to ensure an ever increasing revenue collection. From 1784 this approach to administration was modified under the circumstances of the 1780s and 1790s. The Pitt’s India Act, 1784 required the company to pay attention to good governance. The Cornwallis code (1793) was the result of the new outlook. With the expansion of the colonial state to all India scale in the early 19th century, the principles of colonial administration changed again. The exclusive white rule, as envisioned and institutionalized by Lord Cornwallis lost viability under the changed circumstances. To sustain the empire, native elements had to be accommodated. The Sepoy revolt of 1857 made the desirable reform imperative. The next half-a-century of colonial rule had witnessed massive changes in the method of colonial administration both structurally and ideologically. Attempts were made to inject the spirit of contemporary British liberalism into Indian administration, Western representative institutions were begun to be introduced with a confidence that the Indian Empire would over time become a dominion of the British Empire and remain its partner forever. But the circumstances like the growth of nationalism, terrorism, First World War led the British to liquidate the empire in phases. The administration for the last half a century of British rule was marked by a series of constitutional reforms culminating in the India Independence Act of 1947. Revenue administration 1765-1793 The East India Company’s acquisition of the diwani of Bengal, Bihar and Orissa (1765) had laid the foundation of the British colonial state in Bengal. Bestowing the company with the diwani of the Suba-Bangla was the result of two treaties, one with the Emperor Shah Alam ii (12 Aug. 1765) and the other with Nawab Nazmuddaula (30 Sept. 1765). Under the Pitt’s India Act, 1784, the Bengal Government was strictly prohibited from making any more experimentation in administration and introduces permanent rules and regulations for the governance of the country. The Act made it clear that Bengal was a British dominion and thus its proper administration must be made the supreme concern of the company. Parliament appointed Lord Cornwallis Governor General-in-Council vested with almost absolute powers. Cornwallis was expected to initiate the desired reform programme including the permanent settlement and a legal system. The entire Cornwallis Code may be conceived within the limits of 48 Regulations proclaimed by Cornwallis in May 1793. The Regulations described the structure of respective institutions and their rules of business. The main administrative institutions under the Cornwallis system may be summarised under the following heads. Civil Service Until arrival of Cornwallis, civilians was traders at the same time. For their services to government, officers were paid very nominally. They were hence allowed to indulge in making money by private trade and other means. Police administration Cornwallis abolished the police powers of the nizamat. Under the Police Regulation of 7 December 1792, the zamindars in the rural areas and the kotwals in the urban areas were deprived of their traditional privileges of policing. Instead, English magistrates were given control of the police. Judicial administration Cornwallis separated judiciary from the executive and established rule of law by making all, rulers and ruled, equal in the eyes of law. For civil justice district courts were instituted which dealt with both civil and revenue matters. Administrative reforms to 1857 Cornwallis laid the foundation of British colonial administration. But his system soon turned out to be inconsistent with the colonial state. The India-wide Empire was not yet in sight and it was never in the mind of Cornwallis when he formulated the principles of his administrative system. Local Government The local government system of the native rulers was discontinued under the Cornwallis Code of 1793 which made the district collector main agent of local administration. All local government institutions at village and pargana levels were abolished. The zamindars were shorn of their responsibilities as regards maintaining law and order. The qazi, who was a local judge before, was now reduced to a mere Muslim marriage registrar. Both the urban and rural local governments were designed to taking the colonial state control down to the remotest corners of the empire. The ex-official elements were made supreme in the local government. The local government was thus made a handiwork of the district magistrate. However, the scope of the local government was considerably broadened under the Act III of 1885 (B.C.). The Act provided for the establishment of an indirectly elected District Board in every district and of Local Boards in all sub-divisions of districts. It also provided for the formation of elected Union Committees in a village or a group of villages within a sub-division of a district. Mujibnagar Government on 10 April 1971, the Government of the People’s Republic of Bangladesh was formed through a proclamation of independence issued from Mujibnagar. It confirmed the declaration of independence made earlier. Bangabandhu Sheikh Mujibur Rahman, who was then interned in Pakistan, was elected President, Syed Nazrul Islam Vice President and Tajuddin Ahmed Prime Minister. In the absence of the President, the Vice President was empowered to exercise the powers, duties and responsibilities of the President. A few platoons of the then EPR and freedom fighters were deployed for presenting the Guard of Honour. The ceremony started at 11 am. When Syed Nazrul Islam hoisted the flag, a small group sang the national anthem Amar Sonar Bangla (My Golden Bangla) in a chorus. Syed Nazrul Islam announced the formation of a sovereign government of Bangladesh and introduced the ministers to the audience. The Acting President then delivered his speech. After that, Prime Minister Tajuddin Ahmed spoke at a press conference. Syed Nazrul Islam (served as the Acting President in the absence of the President). Professor Nurul Islam Chowdhury, MNA and Zahur Ahmed Chowdhury, MPA (Southeast Zone); Dewan Farid Gazi, MNA and Shamsur Rahman Khan (Northeast Zone); Lt. Col. M A Rab, MNA (East Zone); Matiur Rahman and Abdur Rauf, MNA (North Zone); Azizur Rahman and Ashraful Islam (West Zone), MNA; M A Rauf Chowdhury, MPA and Phani Bhushan Majumdar, MPA (Southwest Zone). Principal Secretary: Ruhul Quddus; Establishment Secretary: Nurul Kader Khan; Home Secretary: Abdul Khaleque; Defence Secretary: Abdus Samad; Information Secretary: Anwarul Haque Khan; Foreign Secretary: Mahbubul Alam Chashi; Cabinet Secretary: Hossein Toufique Imam; Finance Secretary: Khondakar Asaduzzaman; Agriculture Secretary: Nuruddin Ahmed. Justice Abu Sayeed Chowdhury; Chief of Mission at New Delhi: Humayun Rashid Choudhury; Chief of Mission at Calcutta: Hossain Ali. Chairman: Muzaffar Ahmed Chowdhury, Members: Dr. Mosharraf Hossain; Dr. Anisuzzaman, Dr. Khan Sarwar Murshid, Dr. Swadesh Ranjan. Director, Youth Camp: Wing Commander S R Mirza; Director, Information and Publicity Department: M R Akhtar Mukul; Director, Department of Films: Abdul Jabbar Khan; Director, Arts and Design: Quamrul Hasan; Relief Commissioner: J G Bhowmik. Dr. T Hossain; Assistant Director, Health: Dr. Ahmed Ali. In the opinion of many observers, Zia, although ruthless with his opponents, was the nation’s best leader since independence. A dapper military officer, he transformed himself into a charismatic and popular political figure. Once described as having an air of “serene hesitancy and assured authority,” Zia had boundless energy and spent much of his time traveling throughout the country. Zia preached the “politics of hope,” continually urging all Bangladeshis to work harder and to produce more. Unlike Mujib, Zia utilized whatever talent he could muster to spur on the economy, and he did not discriminate, as Mujib had, against civil servants who had not fully participated in the freedom struggle. Zia also tried to integrate the armed forces, giving repatriates a status appropriate to their qualifications and seniority. This angered some of the freedom fighters, who had rapidly reached high positions. Zia deftly dealt with the problem officers by sending them on diplomatic missions abroad. Zia made repatriate Major General Hussain Muhammad Ershad the deputy army chief of staff. Having consolidated his position in the army, Zia became president on April 21, 1977, when Sayem resigned on the grounds of “ill health.” Zia now held the dominant positions in the country and seemed to be supported by a majority of Bangladeshis. One of the most important tasks Zia faced was to change the direction of the country. Zia altered the Constitution’s ideological statement on the fundamental principles, in particular changing the Mujibist emphasis on secularism to “complete trust and faith in almighty Allah.” While distancing Bangladesh from India, Zia sought to improve ties with other Islamic nations. Throughout his regime, Zia pursued an active foreign policy, and the legacy of his efforts continued to bear fruit in the late 1980s. In 1980 Zia proposed a conference for the seven nations of the subcontinent (Bangladesh, Bhutan, India, Maldives, Nepal, Pakistan, and Sri Lanka) to discuss the prospects for regional cooperation in a number of fields. This initiative was successful in August 1983 when the South Asian Association for Regional Cooperation (SAARC) was established. Zia’s administration reestablished public order, which had deteriorated during the Mujib years. Special civil and military tribunals dealt harshly with the multitudes of professional bandits, smugglers, and guerrilla bands. A continuing problem with one of these armed groups led by Kader “Tiger” Siddiqi, a one-time freedom fighter and former enlisted man in the Pakistan Army, was eased when the Janata Party came to power in India in early 1977. The new Indian Prime Minister, Morarji Desai, discontinued the assistance and sanctuary that Indira Gandhi’s government had given to pro-Mujib rebels working against the government. After Zia’s assassination, Vice President Sattar became acting president and, as the Constitution stipulates, called for new elections for president within 180 days. Although there was some speculation that Zia’s widow, Begum Khalida Ziaur Rahman, and Mujib’s daughter, Sheikh Hasina Wajed, would be candidates, Sattar ran against a number of political unknowns in the November election and won the presidential election with two-thirds of the vote. On March 24, 1982, the army chief of staff, Lieutenant General Hussain Muhammad Ershad, seized control of the government in a military coup. He proclaimed martial law, made himself chief martial law administrator, and dismantled the structures of democratic government that the administration of the late president Zia had carefully built during the previous five years. Ershad suspended the Constitution, disbanded Parliament, prohibited all political activities, and deprived the president, vice president, and cabinet ministers of their offices. Three days after the coup, Supreme Court justice Abdul Fazal Muhammad Ahsanuddin Chowdhury became interim president. Ershad became chief minister of a new cabinet, and by December 1983 he had officially taken over the presidency. He declared that he expected a return to democratic rule in about two years. In fact, martial law lasted until November 1986. Ershad cited as reasons for his coup the growing corruption and inefficiency of the civilian government dominated by the Bangladesh Nationalist Party. After the assassination of President Zia as part of a local military rebellion in Chittagong in May 1981, the Bangladesh Nationalist Party fell into conflicting factions that could not be controlled by Zia’s successor, President Abdus Sattar. Without Zia at the helm, the powerful leaders of the military distrusted Sattar’s civilian government. Thus, because the major political forces in the country could not cooperate with each other, there was no resistance to Ershad’s takeover. After establishing control of the country, he had three main priorities for bringing political chaos to an end and for governing Bangladesh. His goals were to act against corruption and reorganize the administrative apparatus in order to implement overdue reforms, stand as a strong centralizing force while keeping his civilian opponents at bay, and placate the military so as to prevent further coup attempts. Through mid-1988 Ershad proved remarkably capable at accomplishing these goals, and he had become the longest ruling political leader in the history of independent Bangladesh. During his tenure as chief martial law administrator, Ershad divided the country into five martial law zones, each headed by a handpicked senior army officer. Twenty-four special and summary martial law courts directly involved the military in local administration. Although the civilian court system continued to function, violations of martial law ordinances were handled by these extraconstitutional martial law tribunals, where active-duty military officers met in secret sessions to try cases ranging from violations of press censorship to vaguely defined “antisocial activities.” Those convicted of political crimes had no right of appeal, and defendants were tried in absentia. Martial law deprived the Supreme Court of its jurisdiction over the protection of fundamental rights, and criticism of martial law was punishable by up to seven years’ imprisonment. Ershad moved forcibly to end corruption and reorganize the government. Several hundred politicians, including six former cabinet ministers, were jailed on charges of corruption. Ershad announced that one of his highest priorities was a reorganization of the government in order to decentralize decision making and development projects. In order to outline procedures for this decentralization project, he appointed the Committee for Administrative Reorganization/Reforms, which instituted sweeping changes in local administration. The Land Reforms Ordinance of 1984 granted important rights to tenants for the first time in the history of Bangladesh, and a new plan for the divestment of government industries promised to move the country away from socialism. Ershad built on Zia’s earlier platform of advocating an increased role for Islam in the culture and politics of Bangladesh. Constitution of the People’s Republic of Bangladesh was adopted by the Constituent Assembly on 4 November 1972 and came into force on 16 December of the same year, marking the Victory Day. The Constitution has 153 Articles arranged under eleven parts and 4 schedules entitled the Republic, Fundamental Principles of State Policy, Fundamental Rights, the Executive, Prime Minister and the Cabinet, the Legislature, Legislative and Financial Procedure, Ordinance Making Power, Judiciary, Elections, Comptroller and Auditor General, Services of Bangladesh, Public Service Commission, Emergency Provisions, Amendment of the Constitution, and Miscellaneous. The Constitution has declared Bangladesh a Republic committed to the principles of democracy and human rights; rule of law; freedom of movement, assembly and association; freedom of religion and international peace and harmony. Since 1972, the Constitution has undergone certain amendments and changes, some by way of constitutional amendments and some under Martial Law Proclamation Orders. The form of government has also undergone changes quite a number of times. Bangladesh began its constitutional journey with an ad hoc constitution under the Proclamation of Independence Order (10 April 1971) investing the president (of the mujibnagar government) with all executive and legislative authority and the power to appoint a prime minister. This proclamation order was replaced by the Provisional Constitution of Bangladesh Order, 1972 which declared the members elected to the National Assembly and Provincial Assemblies of Pakistan in the elections held in December 1970 and March 1971 as the Constituent Assembly of the Republic. The Order changed the form of government to a parliamentary system with a cabinet of ministers headed by the Prime Minister. The Constitution was fundamentally amended in January 1975. Under the Constitution (Fourth Amendment) Bill 1975, the parliamentary system was abandoned and a one-party presidential system introduced. From 15 August 1975 to 9 April 1979, there were several rounds of martial laws interspersed with civil governments. The governments, civil or military, during the period had neither abrogated the constitution nor observed it fully. Every regime ruled partly by decrees, partly by constitution. All the constitutional anomalies were regularized and confirmed under the Constitution (Fifth Amendment) Act, 1979. Under this amendment all Proclamations, Martial Law Regulations, Martial Law Orders and other laws and tribunals made during the period from 15 August 1975 to 9 April 1979 were ratified and confirmed. The subsequent Martial Law Proclamation, Chief Martial Law Administrator’s Orders, Martial Law Regulations and Ordinances were confirmed and ratified by the Constitution (Seventh Amendment) Act, 1986. The multi-party presidential form of government had continued down to 1991 when the Constitution was again amended in favor of a parliamentary system of government. Under the Constitution (Twelfth Amendment) Act, 1991, the Prime Minister became the executive head, and the President the constitutional head. The executive power of the Republic, according to the twelfth amendment, shall be exercised by the Prime Minister and his/her cabinet shall be collectively responsible to the Jatiya Sangsad. However, all executive actions of the government shall be expressed to be taken in the name of the President, though the presidency is vested with practically no executive power. Theoretically, the President has the power to appoint the Prime Minister and the Chief Justice. But such power is formal than actual. The President, like the crown of Britain, holds dignity and grace, not power. The last and constitutionally very significant amendment to the constitution is the Constitution (Thirteenth Amendment) Act, 1996 which provided for a Non-Party caretaker government which shall work during the period from the date on which the Chief Adviser enters office after Parliament is dissolved till the date on which a new Prime Minister enters upon his or her office. The Non-Party Caretaker Government, which is headed by a Chief Advisor, is collectively responsible to the President. The government organization in Bangladesh can be conceptualized as a two-their administrative system. The ministries and divisions altogether constituting the central secretariat at the national level is supposed to provide clearinghouse functions. Secretariat is the nerve-centre of the administrative machinery and all governmental activities. It includes primarily the policy level organizations when referred to collectively. Before independence in 1971, the provincial government of East Pakistan was virtually a replica of the central government of Pakistan. It had a Secretariat consisting of several departments headed by provincial ministers when popularly elected government was in place. After liberation the existing structure of the provincial administration was transformed into an administration of national government. The proclamation of independence issued effective from 10 April 1971 provided for a provisional government under the leadership of Acting President Syed Nazrul Islam with its headquarters located at Mujibnagar, but in reality in Calcutta. The provisional government had a Secretariat with different ministries/divisions. It was shifted to Dhaka in liberated Bangladesh soon after the surrender of Pakistan’s occupation forces on 16 December 1971. Immediately after the return of Sheikh Mujibur Rahman from West Pakistani jail on 10 January 1972, the provisional government was dissolved under the Provisional Constitution of Bangladesh Order 1972, which in effect provided for the formation of a parliamentary system of government. By late January 1972, an enlarged new cabinet was formed and the Secretariat was reorganized with 19 ministries. The number of ministries and divisions increased to 38 and 46, respectively, by the year 1999. The allocation of functions among the ministries/ divisions is made in accordance with the rules of business issued by the President in exercise of his powers conferred under article 55 (6) of the Constitution. Moreover, a separate document called ‘Secretariat Instructions’, issued by the government under rule 4 (x) of the Rules of Business, provides the manner of disposal of governmental business in the Secretariat and its various attached departments. The role of the Secretariat includes policy formulation, planning, evaluation of plan under execution, assisting the ministers in the discharge of their responsibilities to the parliament, personnel management at the top level, and such other matters as may be determined by the Prime Minister from time to time. The Prime Minister may, whenever necessary, constitute a ministry consisting of one or more divisions. For efficient disposal of business allocated to a ministry/ division, it is divided into ‘wings’, ‘branches’ and ‘sections’. A wing is a major self-contained sub-division of a ministry/division for conducting specified duties of a distinct nature and headed by a joint secretary or an additional secretary. A branch means several sections grouped together which is headed by a deputy secretary or an officer of equivalent rank, whereas a section is the basic working unit headed by an assistant secretary/ senior assistant secretary. The Prime Minister takes charge of certain ministries and assigns a division or a ministry or more than one division or ministry to a minister or a minister of state. The minister is responsible for conducting the business of his ministry/division unless otherwise directed by the Prime Minister. No important policy decision is taken without the approval of the Cabinet. The secretary is the administrative head of a ministry/ division. He is responsible for its administration and discipline and for proper conduct of business assigned to it. He is also responsible for careful observance of the Rules of Business in his ministry/division and attached departments and subordinate offices. The secretary keeps the minister-in-charge informed of the working of the ministry/division. The secretary is also the principal accounting officer of the ministry/division, including the attached departments and subordinate offices, and ensures that funds allocated to the ministry/division, attached departments and the subordinate offices are spent in accordance with the budgetary provisions and the existing account rules. The secretary is responsible for the collection, examination, analysis, evaluation and synthesization of the data, facts and figures, and the evidences on which the minister formulates the policy or decision. Once the policy is adopted, the secretary is responsible to observe that it is executed and to that end he/she is expected to give necessary instructions to the heads of attached departments who are actually responsible for the execution of all policies. He also is empowered to organize his ministry/division into a number of working units as well as to distribute work of the division/ministry among various wings, branches and sections under his overall charge. The secretary determines the nature and extent of delegation of powers to officers serving under him and issues clear standing orders laying down these powers and also the manner of disposal of cases in the ministry/division. An additional secretary/ a joint secretary within his sphere assume full responsibility and submit all cases directly to the minister for orders. Such cases will be returned to him through the secretary. The secretary has the power to call for any case from the additional secretary/joint secretary for his own consideration and to request that he is consulted in any particular case before it is submitted to the minister. A deputy secretary is empowered to dispose of all cases in which no major question of policy is involved or which, under the rules or standing orders he is competent to dispose of. An assistant secretary/senior assistant secretary can dispose of all cases where there are clear precedents, and no question of deviation from such precedent is involved. In case of doubt, he may seek instructions from his superior officer. 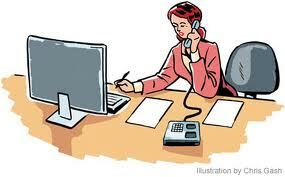 An assistant secretary/senior assistant secretary is ordinarily assisted by an administrative officer and other staff. Each division/ministry, if so required, is composed of a planning wing headed by a joint secretary/ joint chief and he is generally assisted by a deputy chief, an assistant chief and research officers. The planning wing is entrusted with the responsibilities of preparation of annual development programmes and project documents. It also supervises and monitors the execution of development projects. The posts of secretary, additional secretary, joint secretary, deputy secretary are held by the members of various cadre services in the secretariat. On 1 September 1980 the government introduced a unified career service designated as ‘Bangladesh Civil Service’ (BCS) with 28 cadres and sub-cadres. Subsequently the BCS was reorganized and the number of service cadres increased to 29. However, before the creation of the BCS, a new apex service cadre called ‘Senior Services Pool’ (SSP) had been created symbolizing a senior-level ‘open civil service system’, consisting of top administrative posts in the Secretariat, as well as certain percentage of administrative posts in different executive departments and district and divisional offices. The members of the SSP were qualified for all posts of deputy secretary, joint secretary, additional secretary and secretary in the Secretariat, except for two ministries – Ministry of Foreign Affairs and Ministry of Law, Justice and Parliamentary Affairs. Initially the members of the CSP, EPCS and EPSS were inducted to SSP automatically. To accommodate the officers of other service cadres to the top administrative posts of the Secretariat, the government abolished the SSP in 1989 and introduced the reservation of quota of the posts of Deputy Secretary and Joint Secretary for all cadre services. The posts of Secretary and Additional Secretary remained open for officers of all service cadres. Initially 95 posts of Joint Secretary out of 159 and 245 posts of deputy secretary out of 377 were kept reserved for the BCS administration cadre. In 1998, the government decided to keep 75% of posts of deputy secretary and 70% posts of joint secretary for the BCS administration and the remaining posts for the officers of other cadres. The junior posts below the posts of deputy secretary such as assistant secretary/senior assistant secretary are to be filled mainly by the officers of the BCS administration cadre. Some of the posts of assistant secretary are also filled by persons drawn from the non-cadre secretariat service. The posts of deputy chief, senior assistant chief/assistant chief and research officer are reserved for the officers of BCS economic cadre. The officers of the BCS information cadre are also posted to every ministry as information officers. Apart from the officers mentioned above, the different classes of employees are recruited to every ministry/division for the posts of administrative officer, personal officer, steno-typist and messenger. The implementation of the policies as adopted by the division/ministries is normally carried out by a number of executive agencies. These agencies are generally designated as Attached Departments and Subordinate Offices. Attached department means the department that has direct relation with a ministry/division and has been declared as such by the government. Attached departments are generally responsible for providing executive directions in the implementation of policies laid down by the ministry/ division to which they are attached. They also provide the technical information and advise their parent ministry/division on technical aspects of business transacted by the latter. A subordinate office is an office of the Government which has not been declared as attached department and normally does not deal directly with any ministry/division. Subordinate offices generally work as field agencies responsible for detailed execution of government policies. They normally function under the direction of attached departments. However, some subordinate offices are also placed directly under the concerned ministries/divisions in view of the fact that the volume of executive work in such offices is not considerable. There are other types of organizations i.e., autonomous and semi-autonomous bodies, and public corporations which are created to perform certain specialized public functions or implement specific development programs. These organizations may be of various types commercial, promotional or regulatory. The relationship between the ministries/divisions and these bodies is regulated by guidelines issued by the government. On the other hand, general administration, delivery of public services, and implementation of development program, and so on, are carried out at sub-national levels-divisions, districts. thanas (upazila)- representing the central level ministries and divisions, as well as the line departments/ Directorates attached to the ministries/divisions. During the early British period, when modified versions of Mughal (1526-1858) and earlier administrations were adopted, the closest the government came to the rural society was the zamindar, an administrator with concurrent judicial functions, who ensured revenue flows from the localities to the central government and handled a wide variety of official business. Government from the top down was the general rule for the Indian Civil Service and later the Pakistani and early Bangladeshi civil services. After 1971 the government of Bangladesh saw the benefits of involving more people in democratic decision-making and development programs, but the progress of reform was slow. In 1959 General Mohammad Ayub Khan’s government inaugurated a “basic democracies” program designed to involve villagers in development programs, with direct elections to union councils and indirect elections to bodies serving larger administrative units. Mujib’s government held elections for union councils, but the coup of 1975 prevented their effective functioning. In 1980 Zia’s government announced the Self-Sufficient Village Government Plan, but this project ended when Zia was assassinated in 1981. In 1982 Ershad appointed the Committee for Administrative Reorganization/Reforms, which led to the establishment of the National Implementation Committee for Administrative Reorganization. These bodies built a comprehensive plan for administrative decentralization based on the sub district. Bangladesh was divided into four main territorial divisions. In the late 1980s, the four divisions were divided into twenty-one regions, and the regions were subdivided into sixty-four districts (zilas). Below the district level, there were further urban and rural subdivisions. Urban areas include four municipal corporations (Dhaka, Chittagong, Rajshahi, and Khulna, each of which included several municipalities), eighty seven municipalities (pourashavas) and thirty townships (thanas). The four divisions had the same name as the four municipal corporations. The countryside had 460 sub districts (upazilas), which were further divided into 4,401 unions (the rough equivalent of an urban ward); these, in turn, contained 60,315 mouzas (groups of two or more villages–about 20 percent of the total) and single villages (about 80 percent of the total). A further subdivision, equivalent to the rural mouza, was the mahalla, which was found in urban areas. Each mouza or mahalla, the size of which was determined by census data-gathering techniques, contained about 250 households. An average village in the late 1980s contained 1,300 to 1,400 people. An average union contained about 15 villages and a population of about 20,000, and an average sub district had 8 to 10 unions with about 200,000 people. Throughout its history, one of the main challenges to the Bangladeshi government has been finding ways to involve people in democratic politics at every administrative level. According to the decentralization plan in effect in mid-1988, each rural mouza had its own council (parishad) of elected representatives chosen by local voters (persons aged eighteen and over). At the next administrative level, the chairmen of the union councils were directly elected by voters within their jurisdictions. The remaining members of the union council were chosen by the mouza councils, with each member of the union council representing three or four villages. The chairmen of the union councils formed the voting membership of the council at the sub district level, along with three appointed women and another appointed member, usually a former freedom fighter. The chairman of the sub district council was directly elected by sub district voters. Thus the people had a direct electoral role at the village level, and they had a voice in choosing influential chairmen at the union and sub district levels. In the late 1980s, plans called for the expansion of representation at the district level, and the controversial District Council (Zila Parishad) Bill of 1987 was the first step in this direction. By mid-1988, however, these plans had not been implemented; the region and division levels remained administrative units of the civil service and had no political significance. Local participatory politics met the civil service in the sub district council. In the late 1980s, the chief government official in charge of local projects and development efforts was the sub district project management (upazila nirbahi) officer, who directed a staff of about 250 technical and administrative officers. Nirbahi officers were part of the staff appointed by central authorities in Dhaka, and they received their pay, benefits, and promotion from the civil service. Their direct supervisors, however, were the sub district council chairmen. The sub district councils, through their chairmen, were expected to make plans for public works and development projects within their own territories, spend allocated government funds, and direct the development activities of nirbahi officers and their staff. Nirbahi officers and other sub district technical personnel were allowed to participate in sub district council meetings, but only as nonvoting members. Civil service members, heirs of a long tradition of elite government, took orders from sub district council chairmen because the latter wrote the annual evaluations of nirbahi officers which served as the basis for promotion within the civil service. In this way, elected representatives of the people at the local level exercised direct control over civil servants and government projects in their own area. In the late 1980s, the administrative apparatus at the urban level was comprised of a governing council with an elected chairman, elected commissioners (no more than 10 percent of whom were women), and several ex officio members. A mayor and deputy mayors were elected from among the council members. The decentralization scheme implemented under Ershad’s government was the most ambitious attempt in the history of Bangladesh to bring responsible government to the local level. The system officially began with elections in 1983 for four-year terms to union councils and with elections in 1984 for three-year terms to sub district councils. However, there were major problems with this scheme of decentralized administration. First, the electoral system tended to represent only the wealthiest and most influential members of society. These persons made decisions that strengthened their own patronage networks and influence at the local level; the poorest strata in society had little direct voice in elected committees (Local Elites). Second, the sub district councils were designed to create and implement development activities in their areas, but they were typically slow to draft five-year plans or carry through broad-based development efforts. Most of their projects emphasized construction or public works, (e.g., school buildings or irrigation canals, and they sometimes neglected the personnel and training components necessary for social involvement (Economic Policy and Planning). Third, civil service members have long lacked respect for local politicians, looking to their own advancement from their supervisors in Dhaka. They have often been slow to cooperate with elected members of local committees. For example, although the sub district council chairman was responsible for writing the nirbahi officer’s annual evaluation, the officer was expected to submit the evaluation form to the sub district council chairman, and in many cases these forms did not appear, thus preventing the chairmen from exercising control. Finally, the entire system of decentralized politics was viewed by opposition politicians as a patronage network designed to attract local elites to the party of the regime in power. Observers tended to conclude that instead of furthering decentralized democracy, the system only strengthened the national party controlled from Dhaka. An additional secretary or a joint secretary working just below the secretary is normally designated as the head of a wing. Wing means a self-contained subdivision of a ministry/division for conducting specified duties of a distinct nature. Below the wing is branch. Branch means sections grouped together headed by a deputy secretary or an officer of equivalent rank. Below the branch is section, i.e. a basic working unit in a ministry/division, placed under the charge of an assistant secretary or a senior assistant secretary. The secretary is designated as the administrative head of the ministry/division that is responsible for the administration and discipline and proper conduct of business assigned to it. He is further responsible for careful observance of the rules in the ministry/division, attached departments and subordinate offices. The secretary is required to keep the minister informed of the working of the ministry/division. The secretary is further designated as the principal accounting officer of the ministry/division, including its attached departments and subordinate offices. He has to ensure that funds allocated to the ministry/division and other organizations attached to the ministry/division are spent in accordance with rules/laws for the time being in force. Personnel management at the top level, i.e. of the officers not below the rank of member/director in the cases of public statutory corporations, and officers not below and level of National Pay Scale-V in the cases of attached departments and subordinate offices; and Such other matter/matters as may be determined by the prime minister from time to time. Policy formulation remains one of the important functions of a ministry dealing with a specified subject. In formulating policy on the subject allotted to more than one ministry, inter-ministerial consultation is mandatory. After inter-ministerial consultation, the policy in draft form is placed before the cabinet for approval. In respect of planning functions each ministry draws up development projects which are generally of two types, i.e. foreign aided projects, and projects which are funded entirely by government resources. The projects so drawn up require the approval of the Executive Committee of the National Economic Council (ECNEC). Approval process requires prior scrutiny of the planning commission. Approved projects are executed by the relevant agencies under the ministry. The evaluation and monitoring of such projects are done by the ministry in monthly meetings held to review progress of each project. The ministries remain accountable to the ECNEC and the national economic council (NEC) for efficient and timely completion of the projects. With regard to legislative measure, whenever a law is to be framed, the relevant ministry initiates the proposal, holds inter-ministerial consultations and then seeks the views of the ministry of law. Based on the views of the ministry of law, draft proposal is submitted to the cabinet for approval. Upon approval by the cabinet, the ministry of law gives legislative shape to the proposed law, and after that it is referred to relevant standing committee in the Sangsad. Based on the views of the committee final draft of the proposed law is placed before the Sangsad for approval. One of the important tasks of the ministry is to assist the minister in the discharge of his/her responsibilities to the Jatiya Sangsad. There are two broad aspects of such assistance to the minister. First, to oversee the functions of each ministry there is a parliamentary standing committee. This committee consists of elected members of Sangsad representing various parties. Minister is also a member of it. The task of the ministry is to assist the minister and the other members of the committee to deal with issues that are raised in the committee. Second, when the Sangsad is in session, its members raise questions regarding various subjects related to a ministry. The ministry provides the facts and other supplementary information to enable the minister to face such questions in the Sangsad. As regards personnel management at the top level, the ministry is responsible for deployment of certain categories of officers including matters relating to their promotion, training and discipline. In dealing with such issues, the ministry is guided by laid down rules and instructions issued from time to time by the Ministries of Finance, Establishment and the cabinet division. Generally, bigger ministries have more than one division. Thus Ministries of Finance and Planning each has three divisions. Each of these divisions, however, is headed by separate secretaries, all of whom work under one minister. In some cases, a division of a ministry may be headed by a state minister. Similarly, a ministry with more than one division may be headed by a state minister. Some ministries headed by ministers may have state or deputy ministers. There is no fixed rule about who will be the head of the ministry, a minister or state minister. This is left to the discretion of the Prime Minister who alone is responsible for deciding about the appointments of the ministers, state ministers and deputy ministers. He or she is also the final authority to allocate the portfolio of ministers, state ministers and deputy ministers. The allocation is subject to change at the discretion of the Prime Minister. Again, it is also left to the discretion of the Prime Minister to reorganize ministries by merger or separation. Cabinet Division means high power policy management division in the secretariat which works in close proximity to the prime minister in implementing important decisions made by the cabinet as well as in effecting inter-ministerial coordination, especially in matters when cooperation and joint actions by more than one ministry/division are necessary. There was no such division in the provincial secretariat in former East Pakistan. But the government-in-exile at Mujibnagar did constitute such a division in keeping with the principles of the functioning of a national government. It was then a constituent unit of the ministry of cabinet affairs of the government-in-exile. This set-up was retained almost intact in Bangladesh after liberation. Initially it was under the control of the Prime Minister, but was placed under the president in 1975 when the form of government was changed. However, since 1991 when the system of government reverted to parliamentary, this important division has again been placed under the Prime Minister. to obtain periodic reports on the activities of various ministries/divisions and their attached departments/offices, as well as to scrutinize those reports and place relevant information before the Prime Minister/cabinet. In addition, the cabinet division provides secretarial services to the President, Prime Minister and all other ministers, including all the committees constituted from time to time by the Prime Minister/cabinet. It also deals with matters relating to the remuneration and privileges of the President, Prime Minister and ministers. The responsibility for framing the rules of business and for allocation of functions among various ministries/divisions also rests with the cabinet division. Remuneration and privileges of the President, Prime Minister, and other ministers. The cabinet secretary is the official head of the cabinet division. He is selected from among the senior-most civil servants. His status is four steps above that of the other secretaries in the warrant of precedence. He heads several secretary level committees on matters of inter-ministerial consultations. He is the chairman of the secretaries’ committee on administrative improvements and the Superior Selection Board (SSB). In fact, the cabinet secretary acts as the principal adviser to the Prime Minister/cabinet. His position is somewhat akin to that of the head of the civil service and of the permanent bureaucracy in as much as all the secretaries look to him for advice and guidance. The cabinet secretary and his senior aides attend almost every meeting of the cabinet and prepare a brief record of discussions in an impersonal manner and submit it to the Prime Minister for approval. He circulates to each minister a copy of the minutes of cabinet meeting as approved by the Prime Minister, and sends extracts of the relevant cabinet decision(s) for implementation to the secretary of the concerned ministry. He is responsible as well to keep a constant watch on the implementation of such decisions. The cabinet division is responsible for looking after the general administration of the thanas/upazilas, districts and divisions. The cabinet division directly controls the upazila nirbhahi officers, deputy commissioners and divisional commissioners. The performance and functions of the magistrates working in the lower courts at thana and district levels are regularly monitored by the cabinet division. The cabinet division is responsible for the preparation of a monthly report in the form of a resume on the activities of all ministries/divisions and its submission to cabinet meetings. It also prepares an annual report on the activities of different ministries/divisions for its submission to the cabinet. Thus the cabinet division plays a vital role in the overall coordination of all governmental activities. Attached Departments are in the rules of business (1996) of the government of Bangladesh an attached department is defined as a department which has direct relation with a ministry/division and has been declared as such by the government. The attached department is usually, depending on size and importance, headed by a functionary called the director general. The attached department acts as the executing arm of the ministry/division to which it is attached. The policies, plans and development projects of ministry/division are executed in the field by the attached departments. The director general or, in some cases, the director as the departmental head is responsible for efficient functioning of the department under his charge. To enable him to function, administrative and financial powers are delegated to him by the government. The attached department enjoys wider powers than are available to what is known as the subordinate office. The subordinate office means an office of the government which has not been declared as an attached department and which normally does not deal directly with any ministry/division. In fact, some of the attached departments are designated as directorates, for example, the police directorate, the directorates of social welfare, health, family welfare, etc. Some of the heads of directorates or departments use different designations because these designations are codified in law. Examples are Inspector General of Police, Inspector General of Prisons, Chief Conservator of Forests, etc. Rules of Business are framed by the competent authorities for the purpose of allocating as well as transacting government business. The concept and practice of rules of business in effect evolved during the British rule in India. Basically two aspects of decision making in administration have been evolved over the years: first, the manner and procedure of disposal of business of the government; second, the sharing of responsibilities or subjects by different ministries/divisions. Precisely, the rules of business constitute the procedures of transaction of business of the government and allocation of functions among various ministries/divisions. Since the enactment of the Charter Act of 1833 and until the move towards representative government culminating in the Government of India Act of 1935, the rules of business underwent various changes. In those days the rules for the conduct of business in the executive council were formulated through resolutions adopted in the council meetings. With the enactment of the Government of India Act of 1935, such rules came to acquire a constitutional or legal source of authority. Thus, section 59 of the Act authorized the Governor of Bengal to make rules for transaction of the business of the government. The rules laid down procedures for organization of departments, transmission of information and submission of cases to the governor, including procedures of inter-departmental consultations, meetings of council of ministers, disclosure of information, and so on. These rules were issued again on 30 May 1946 with minor modifications. After the partition of India new rules of business modeled almost on what had been in existence prior to 1947 were framed in Pakistan under the constitution of 1956. Under the constitution adopted in 1962, new rules of business were then framed under article 81 of the constitution which was revised from time to time. In Bangladesh, the rules of business were first published on 1 November 1975. The rules were then designed for a presidential system of government, under which there was a council of ministers appointed by the president. The assigned duty of each of the ministers was to aid and advise the President; the latter also could get things done by officers subordinate to him. After the elections of 1991 the country adopted a parliamentary form of government which necessitated a revision of the existing rules of business, although the basic structure and contents of the revised rules remained much the same. By a notification issued on 18 November 1991, the government decided that all cases requiring approval of the President under the presidential system would henceforth be submitted to the President through the prime minister. Bangladesh Public Service Commission is a constitutional body established primarily to recruit persons for various services and posts in the government. It is also involved in decision processes relating to other service matters such as promotion, posting, transfer, discipline, and appeal of the government servants. The main purpose of constituting such a body, designated in most countries of British heritage as ‘civil’ or ‘public’ service commission, is to ensure that all decisions relating to recruitment and other service matters are made consistent with the principles of merit and equity. In Bangladesh, this body is presently designated as the Bangladesh Public Service Commission (BPSC). A commission called Public Service Commission was first established in India in 1926, when it was entrusted with functions almost similar to those of its British counterpart in London, particularly in matters of recruitment of public servants of the central government of British India. Similar provincial level commissions were subsequently established, including the Bengal Public Service Commission in 1937, following the formation of responsible governments in the provinces in pursuance of provisions made in the Government of India Act, 1919, and thereafter in the Government of India Act, 1935. After the partition of India in 1947, replicas of the Public Service Commission in British India were created in Pakistan, both at central and provincial levels. Hence a body designated as Public Service Commission, Eastern Pakistan (renamed later East Pakistan Public Service Commission) came into being in East Bengal (later named East Pakistan) in August 1947. After the emergence of Bangladesh two separate commissions, namely the Public Service Commission (First), and the Public Service Commission (Second), were initially established in May 1972 under provisions made in President’s Order No. 34 of 1972. But to give effect to the provisions on public service commissions in the constitution adopted in November 1972, a fresh Presidential Order (President’s Order No. 25 of 1973) was promulgated in March 1973 which in effect formally regularized the establishment of the two commissions in existence since May 1972. However, in November 1977 the government promulgated another ordinance to establish a single commission in place of the existing two commissions, which, in effect, came into being on 22 December 1977 and was designated as Bangladesh Public Service Commission. The most important characteristic of the BPSC is its constitutional rather than statutory basis. The Constitution of Bangladesh defines the composition and functions of the commission in a chapter (2 of part IX) of five articles. The chairman and members are appointed by the president (in practice on the advice of the prime minister) for five-year terms, or for periods not exceeding the appointees’ age of sixty two. Number of members to be appointed is not constitutionally specified, but is fixed by a Presidential ordinance issued in 1977, at fifteen (minimum being six) including the chairman. There are no special qualifications for appointment except the requirement that at least one-half of the members must be persons who have held offices in the government service for at least twenty years. Normally, the chairman and members who come from the government service are senior officers and those from outside are mostly senior academicians. A member from the government service is not eligible for further employment in the government service (including in the BPSC) after retirement, except the chairman who is eligible for re-employment for one additional term as chairman, and a member who may be re-employed in the BPSC either as a member or as chairman. Any member can be removed from office but only in like manner and on like grounds as a judge of the Supreme Court is removed under provisions made in the Constitution. The rank numbers of the BPSC’s chairman/members in the warrant of precedence tend to constitute an index of their status in relation to officials in the executive wing of the government. The existing Warrant of Precedence ranks the chairman of BPSC with a full secretary to the government, although the chairman precedes everyone listed in that rank number, i.e., number 17. On the other hand, members of the BPSC have been given the rank number of an officer holding the status of an additional secretary (i.e., number 21). The Constitution specifies that BPSC shall conduct tests and examinations for selection of persons for appointment to the government service, advise the President (i.e. the government) on certain matters on which the commission is consulted, and perform such other functions as prescribed by statutes. The matters on which the President is obligated constitutionally to consult the commission include methods of recruitment, principles of appointment and promotion, principles of transfer, terms and conditions of service, and discipline. In practice, however, the responsibility of BPSC is not as extensive as it may appear, for the President may, by order made after consulting the commission, exclude any of the constitutionally specified matters from the commission jurisdiction. Moreover, while he is otherwise obligated to consult the commission, there is no obligation to accept the commission’s advice in all cases. In fact, a number of presidential orders issued so far have progressively excluded important categories of employment from BPSC’s jurisdiction. The Bangladesh Public Service Commission (Consultation) Regulations of 1979 is one such order. (ix) to advise on disciplinary and appeal matters affecting government servants. In addition, BPSC also performs functions in the field of personnel research, such as to compile data and analyze statistically the aptitudes (including academic, socio-economic, regional and institutional backgrounds) of persons seeking government employment. The Constitution stipulates in specific terms that BPSC shall, not later than the first day of March each year, prepare and submit to the President an annual report on the performance of its functions during the previous year. The report shall be accompanied by a memorandum setting out (i) the cases in which the advice of BPSC was not accepted by the government and the reasons furnished by the latter for non-acceptance of such advice; and (ii) the cases in which BPSC ought to have been consulted, but was not consulted, and the reasons of such deviation. The President shall cause the report and memorandum to be laid before Parliament at its first meeting held after March 31 of the year of submission of the report. This provision is designed basically to ensure that consultation with BPSC is not overlooked, and that its advice is accepted as a rule. At the same time, it implies due freedom for the government in cases where it considers the matter of sufficient importance to follow its own judgment, provided the government is prepared to justify its action before Parliament. To assist BPSC in discharging its functions, there is an establishment called the Bangladesh Public Service Commission Secretariat. Structurally, it is part of the Ministry of Establishment, a ministerial portfolio of the Prime Minister, and is accorded the status of a ministerial division. The business in the headquarters of BPSC, located in the capital city, is conducted in ten functional sections, including establishment section, accounts section, examination section, recruitment section, psychology section, research section, and library section. In addition, there are six zonal offices of which five are located in the outlying five divisional headquarters, and the remaining one, meant for Dhaka division, is accommodated in the same building where the headquarters of the BPSC Secretariat is housed. These zonal offices, in effect, acts as liaison offices. The Secretariat has an officer designated as secretary who acts as its chief executive officer. He is an additional secretary to the government placed in BPSC on deputation. The secretary’s senior aides include a joint secretary, controller of examinations, chief psychologist, two deputy secretaries, and seven directors. The implementation of government policies and projects is the duty of the Bangladesh Civil Service, a corps of trained administrators who form the nation’s most influential group of civilians. The importance of the bureaucracy dates back to the colonial period, when the Indian Civil Service provided elite, educated, and dedicated body of professional administrators. After the partition of India in 1947, when almost all administrative organs had to be created afresh, both East Pakistan and West Pakistan heavily relied on the managerial expertise of professional managers from the old Indian Civil Service. When Bangladesh became independent in 1971, the members of the civil service who joined the new nation brought with them the heritage of the colonial system. This heritage included administrative competence, which proved invaluable in running a young Bangladesh and an expectation by the elite of benefits and power. In mid-1988 the civil service was composed of twenty-eight separate services. There were twenty grades, with promotion to higher grades based on merit and seniority, dependent on annual confidential reports filed by the individuals’ supervisors. Recruitment to the civil service occurred through open competition within a quota system. Forty percent of all new positions were allotted on the basis of merit; 30 percent were reserved for former freedom fighters (Mukti Bahini), and 20 percent were allotted to women. The quotas were distributed among districts on the basis of population. Eligibility depended on an entrance examination, which included English, Bangla, and mathematics sections, plus a personal interview. The Public Services Commission, as mandated by the Constitution, conducted the examinations for the civil service. The recruitment system attempted to eliminate the entrenched power of the old elites and to decrease the bias that favored candidates from wealthy, urban families. Although in the late 1980s it appeared that the new rules for recruitment and promotion might widen the backgrounds of civil service personnel and their supervisors, the older, senior members of the service continued to dominate the administration. Since independence, membership in the civil service has been one of the most desirable careers in the country. For senior civil servants, benefits included government housing at a standard rate of 7.5 percent of base salary, transportation, medical care, and a pension. Equally important were the prestige and influence that accompanied an administrative career. For example, there was great power in directing a division of a ministerial secretariat in Dhaka, or one of its attached departments, subordinate offices, or autonomous bodies. Positions in the countryside were less popular, but the long tradition of bureaucratic elitism and subservience to government officials made the local administrator of the civil service an influential person in the community. In the late 1980s, the centralization of power and influence within the civil service remained one of the prime targets of administrative changes designed to decentralize politics and economic development throughout Bangladesh. Quota reservations for all the twenty nine cadres of the Bangladesh Civil Service (BCS) exists the post of officers in the secretariat under the new system of senior level promotion and posting introduced in 1989 following the abolition of the senior Service pool (SSO). But the fact is that three – fourths of the post of deputy secretary and additional secretary go to the administration cadre officers in accordance with this new system (as amended in February 1998). Bangladesh Public Administration Training Centre the chief administrative training institution located at savar, about 28 kilometers to the north of the capital city, Dhaka. It is primarily responsible for imparting public administration training to civil servants of various levels. The Ministry of Establishment is in overall charge of supervising the activities of the Bangladesh Public Administration Training Centre (BPATC). Established in 1984 as an autonomous organisation under provisions made in Ordinance No XXVI of 1984, the BPATC in effect provides for an integrated national training institution in the field of public administration and management. It is headed by a senior secretary to the government who is officially designated as Rector. Immediately below him are five Members Directing Staff holding the rank of joint secretary to the government, each of whom is responsible to look after one of the five functional divisions, namely management and public administration; programme and studies; development and economics; research and consultancy; and projects. The Rector as chief executive has adequate powers to make decisions on day-to-day financial and administrative matters. However, the 12-member Board of Governors, chaired by a minister, provides general policy directions. The merger took place with a vision to integrate (both human and non-human resources), pool diverse ideas and experiences and widen scope of interactions between different cadres and services. Thus, BPATC inheres a rich legacy, and sets a unique model of integrated training in the fields of public administration and management. to do such other acts as may be considered necessary for carrying out the purpose of the ordinance. Bangladesh Civil Service Administration Academy is an institute meant for basic training on law and administration for officers of the Bangladesh Civil Service (BCS) administration cadre. Established on 21 October 1987, the Academy was initially responsible for imparting training to young and mid-level officers belonging to the BCS administration cadre only, though the BCS (Foreign Service) officers had been attached to it for sometime between 1989 and 1996. The Academy is attached to the Ministry of Establishment and is located at Shahbag of Dhaka city in a building that used to house the Gazetted Officers’ TrainingAcademy during the Pakistan period and the Civil Officers’ TrainingAcademy after independence. Generally, trainees of the administrative cadre attend the Academy’s prescribed professional training course on completion of the compulsory foundation training course with new recruits of all other cadres from Bangladesh Public Administration Training Centre, Savar, Dhaka. The main objectives of this national administrative training academy are: (a) to impart professional training to the members of the BCS (administration) cadre to improve their knowledge and skills regarding criminal laws, land laws, various minor acts, rules and regulations, public administration, development administration and good governance; (b) to enable young officers to study the constitution of the People’s Republic of Bangladesh and other basic laws and internalize their spirit and consider their implications for the public servants; (c) to facilitate sharing of ideas and experiences between young and senior members of the service by organizing seminars, symposia, workshops etc on important issues in public administration and socio-economic subjects; (d) to develop in trainees esprit de corps so that they can think, plan, organize and work through teamwork; (e) to maintain intimate linkage with other training institutes, both local and foreign, for improving and upgrading the training management system; (f) to provide consultancy and advisory services to the government in different areas of public administration, management and economic development, and to assist the government in formulating policies on training and human resource development as and when asked for; and (g) to prepare and publish case studies, research papers, journals and professional books on fields of specialization of the Academy and also on related areas. Training courses offered by the Academy include the following: (a) a five-month long law and administration course for assistant commissioners/assistant secretaries; (b) short courses on management of criminal courts, land revenue laws, and civil laws for assistant commissioners; (c) short courses on laws for magistrates; (d) short courses for assistant commissioners and junior officers in secretarial procedures; (e) an advanced course on law and administration for additional district magistrates, additional deputy commissioners, upazila nirbahi officers, revenue deputy collectors, land acquisition officers and general certificate officers; and (f) orientation courses for upazila nirbahi officers, deputy commissioners and district magistrates. In addition, the Academy organizes in each training year a number of workshops and seminars on management and legal issues. Emphasis is laid on applied training methods in all programmes. Study tours and visit to different institutions are regularly arranged so that participants can gather practical knowledge. The Academy is headed by a senior member of the administrative cadre designated as the director general who holds the rank and status of an additional secretary to the government and three directors of the rank of deputy secretary to the government. Faculty members act as directors, coordinators and assistant coordinators of the courses run by the academy. Moreover, they have specific jobs assigned to them regarding the academy’s administration, planning, development, research, consultancy and publication. Grades – These are the titles and ranks attached to particular jobs within a given group or class. In 1977, the Government abolished the class system and replaced it with a Unified Grade System (UGS) and a National Pay Scale (NPS) consisting of twenty service grade and pay scales, which were to apply to all personnel in the public sector. Classes – Strictly speaking, the word class disappeared with the introduction of the UGS in 1977. But the concept of class and the structure it represents seems to have still been in use widely. It helps distinguish officials by rank in operational context. Thus the low-ranking support staff, such as cleaners, messengers and tea boys, are classified a Class IV. Cadre\ Non-cadre – The cadre distinguishes the particular occupational group to which a civil servant may belong either at the time of recruitment or subsequently through promotion from a lower no cadre post. A class I cadre officer has wider promotion prospect within his/her own service; whereas a no cadre class I officer’s promotion prospect is much restricted. The twenty-nine BCS cadres so far created include BCS administration, education, trade, and economic services, and so on. As mentioned above. The UGS and NPS apply equally to all civil servants, irrespective of the cadre to which they belong. Ex-CSP – These are Bengali officials of the erstwhile Civil Service of Pakistan (CSP) recruited before liberation. Almost all of them are now holding policy level positions in the Bangladesh Secretariat, and most of the non-CSP officers seem envious of their leadership ability. Generalists /Specialists- These terms, and the distinctions they imply are well recognized within the Civil Services, though they are not strictly part of the official vocabulary. Nevertheless, the intense rivalry between the generalist administrators and the specialists (doctors, engineers and agriculturists) is at the centre of the demand for civil service reform. The centre of gravity of the Bangladesh Civil Service has traditionally been the generalist administrators, with specialists seemingly playing somewhat non-management roles at the top level of the bureaucratic hierarchy. Senior Selection Pool – The SSP comprises the top six civil service grades, starting from the posts of Deputy Secretary to Secretary including the equivalent posts outside the Secretariat, which are filled by suitable persons from both cadre and nonreader class I services. It was initially created in the form of an apex cadre named as Senior Services Pool (SSP) in 1979 (later abolished in 1989) to permit the brightest from all occupational groups to rise to the top of the civil service. Gazetted / Non Gazetted Staff- A gazetted officer is one whose appointment is published in the official gazette. This gives the official certain privileges, such as being mentioned in the ‘order of priority’, the authority to authenticate signatures and to recommend persons for obtaining official documents like passport. The administrative reform measures of successive governments in Bangladesh have brought significant changes in the civil service system. During the years from 1972 to 1996 successive governments appointed as many as fourteen major administrative reform commissions and committees. Administrative and Services Reorganization Committee is an administrative reform body constituted by the government of Bangladesh on 15 March 1972. This committee, popularly known by its acronym, ASRC, was especially entrusted with the task of suggesting appropriate measures for the government to determine policy regarding the future structure of administration and the system of civil service. ASRC was headed by Professor Muzaffar Ahmed Choudhury, the then Vice Chancellor of Dhaka University. It consisted of three other members: Professor Anisur Rahman, a member of the Planning Commission; Mahbubuzzaman, Secretary of Establishment Division; and Barrister Amirul Islam (Member of Parliament), a political representative nominated by the Prime Minister. to determine the future recruitment policy in the government services at various levels keeping in view educational and other job requirements; and to prepare and recommend a comprehensive scheme for administrative reorganization. The ASRC submitted its report in two parts, one in April and the other in October 1973. The first part of the report contained proposals for the reorganization of the services. This reorganization had to be taken up in order to assist the National Pay Commission of 1972 in determining new pay scales. The second part of the report contained recommendations regarding the reorganization of the secretariat system and procedure of work, ministerial and departmental organization, and district and local government administration. The main objective of this study is to find out what and how the government of Bangladesh is operating the management and what is the structure of the administration. Besides we try to find out the structure of the administration in the previous period before the birth of Bangladesh. As a student it is our general nature that we are always for knowledge. And these sorts of studies help us to gather practical knowledge. In the secretariat we had to go for almost three times to fix an appointment with the authorized person. Finally when we met him, he was not willing to give us information which has nothing to maintain secrecy. At last we decided to drop the study on the secretariat and use some other source to gather information. More over the subject Public Administration and International Relations is a vast one and due to the scarce time we could not complete many of the major portions. If we have had enough time and given proper information, it was for sure that we could have developed a much better report on this topic. This report attempts to show the emergence of policies that Peoples Republic of Bangladesh uses to operate the administrative operation and tries to scrutiny their application and utility. We tried our level best to compile information as comprehensively as possible. This was not at all an easy project to complete. Gathering information was also a difficult task. What ever the limitations were, we made our best effort to overcome them and anchor safe. No matter how good we do in designing the project but it’s the knowledge that we gather that remains us till the end and satisfies us. At last, we hope that our attempt behind this project is a successful one and will surely bear the expected fruit.